It is NIIIIICCCEEE!!! Me like a lot!! These locos ran literally right through the cane, if a spark started a cane fire it would be catastrophic because the fire would just race away, when a cane paddock goes up it is virtually unstoppable but very spectacular the only way to stop them is push a break through unburnt cane and back burn. If the cane is burnt the sugar content (CCS) starts to drop and the farmer loses money. Also the mills can only accept a certain amount of cane per day which is why the different farms are allocated a number of bins/day a quota system. These days the cane is cut unburnt but the quota system still operates to spread the income for the farmers over the crushing season. Most informative. Thanks for sharing. As much as I love them in safety yellow with the balloon stacks I'm rather fond of Count Strezleki in dark green with its copper capped chimney, it just looks right! What, your living in a loco? Bundaberg a city in Queensland Aust famous for Bert Hinkler, the first person to fly solo from England to Australia, and the first person to fly solo across the Southern Atlantic Ocean. Also home of the famous or maybe infamous for Bundaberg (Bundy) Rum. 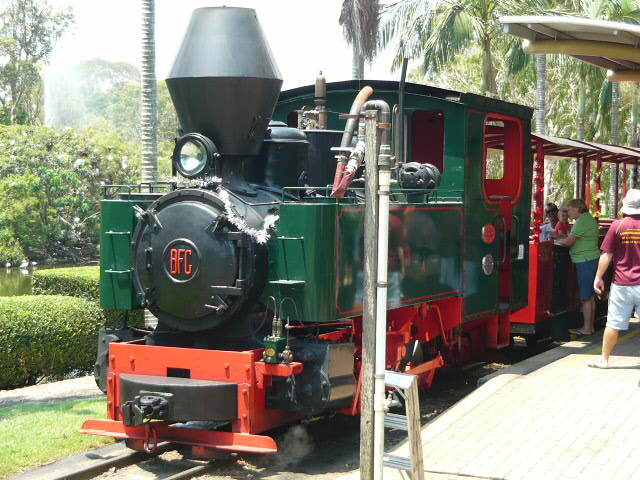 I spent most of my youth in sugar cane country, spent a bit of time on a farm harvesting cane and having up close views of the train operations. Not quite but this is in the botanical gardens and they are always looking for volunteers. 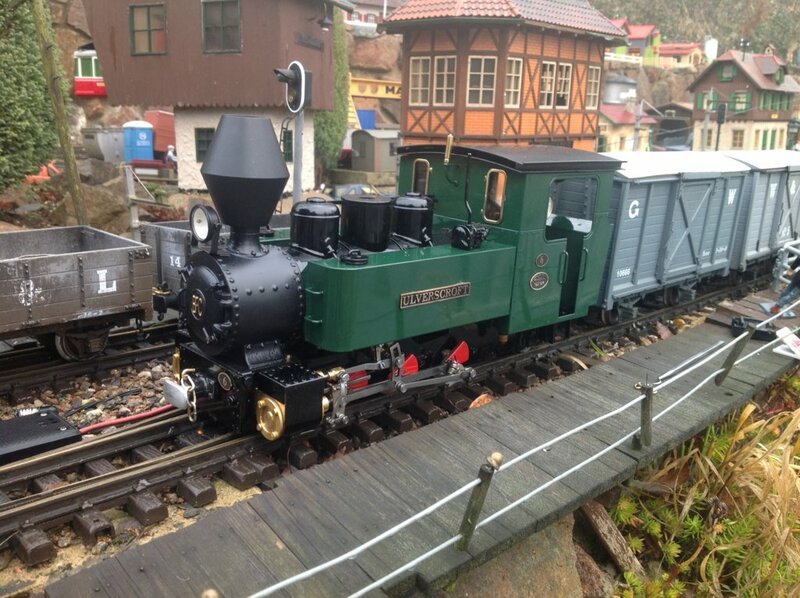 There is also an active HO model railway club so I should be able to get a train fix quite easily. 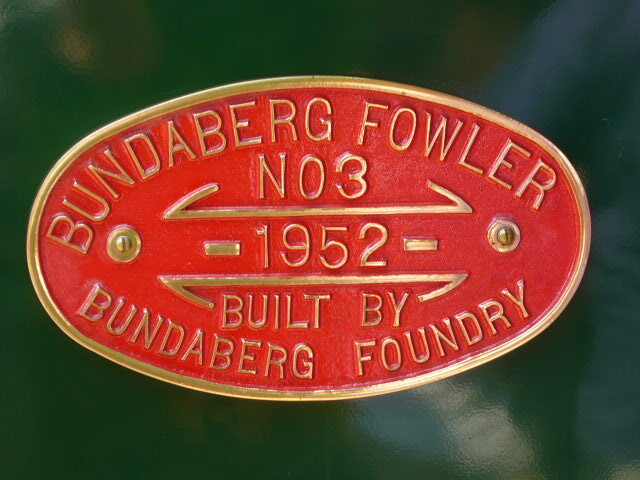 The Bundaberg locomotive has now completed thirty hours in steam so it was decided that she needed a number and name. She is now number 6 and named ULVERSCROFT. Interesting name. - as in Nature Reserve? I like names that are not instantly identifiable. It's named after the civil parish of Ulverscroft. It is located within the historical Charnwood Forest, so it's in keeping with the CFR theme. 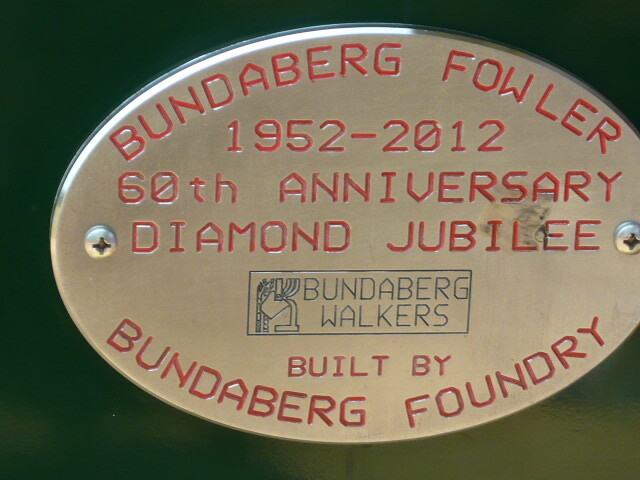 Just for general interest here are a couple pictures I took of the Fowler that runs around the botanical gardens in Bundaberg. Have others if anyone is interested. Though not exactly the same engine? - Here is a fairly spectacular video that was shot before one the last ones retired... 2000km of connected 2ft rails - where else does anything of that extent exist...?? Also classic the scene in the video - whether for effect or for real having to check on a map which way to set a point in order to continue... !! What an excellent video - actually about the loco rather than the presenter! Has anyone tried 'bending' the Bundaberg around a R1-curve? Would it go through without derailing? But made in the same factory Walkers Bundaberg Foundry. 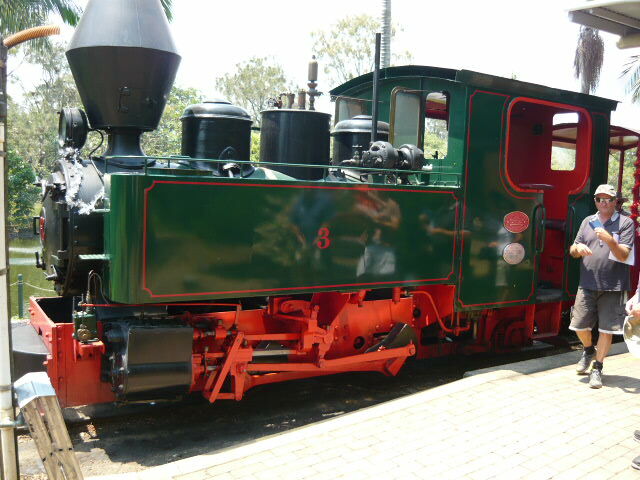 Many years back I had the Roundhouse Fowler which was a Tender Engine but an 0-6-2 to boot. I would imagine that the chassis was the same as this and yes my Fowler managed LGB R1 with no bother. In fact it was tested on LGB R1 at the factory for me on the day I collected it. This was in the old Concrete Bunker that Roundhouse used to be in just by the main line at Doncaster. Now demolished and Roundhouse in an industrial estate somewhere else in town. Not noticed on Bundy, but my Fowler had flangless Centre Wheels to cope with LGB R1, perhaps Casey could have a look and let us know. He may even have some R1 that he can test it out on as well. I am almost sure that all the 6 wheelers that Roundhouse do have Flangless Centra Drivers, certainly my Russell does as well. Definitely flangless centre wheels. I will dig out some R1 track and give it a go. The glass says Finlandia - dunno what the Finns drink? Though I doubt that would be that clear! That'll be the Sami people. They'll tell you that they are NOT Finns.